Your data is of paramount importance. No matter whether you store sensitive customer data for your eCommerce business, or you simply have oodles of cat videos, no one wants to wake up one morning and discover that their data is gone. Due to the nature of ever-evolving online attacks, it’s impossible to guarantee that your data will never be hacked or corrupted. The only way to fully protect yourself is to regularly backup your data so you can fully recover in the event of a disaster. Follow these top six best practices from our Heroic Support™ team when choosing your ideal backup solution to guarantee data will be safe and fully recoverable. A key factor in your backup solution is remote storage. Backing up your data and storing it on the same disk as your original data can be an exercise in futility. Off-site, or at least off-server, backups will remain viable even if your main server is compromised, allowing you to fully recover your data. Prevent loss of your critical data by ensuring backups are taken frequently and on a regular schedule. Determining how often your data is updated can help you create a schedule of how frequently your backups need to be taken. Critical data that is updated constantly will need to be backed up more regularly - even hourly, whereas more static data may only need nightly or weekly backups. After determining the frequency you will back your data up, it’s also vital to consider how long you will retain each backup. Keeping every backup indefinitely isn’t feasible simply due to an often limited amount of space. Most backup solutions offer a series of retention schedules, such as keeping hourly and daily backups for a week, weekly backups for a month, and monthly backups for a few months or even years. This type of schedule allows for having multiple, recent backups in the instance a recovery is needed. Good business practices include retaining certain backups, such as monthly or bi-annual, for as long as possible, if not forever. In addition, we recommend researching your industry’s data retention standards and requirements. Certain industries, such as healthcare or finance, will have strict requirements for backup retention. It’s not enough to simply backup your data in an off-site location. Encrypting your backup files is an important step in data security. Backup encryption during storage ensures that your data will be exactly what you expect in the event you need to recover it. For extra redundancy, your backups should be stored on RAID arrays. Distributing your data across two or more drives in a RAID array allows for better performance, reliability and larger data sets in your backup solution. This can also help ensure your stored data will be protected from the failure of a single disk. Because backup solutions will differ in how they treat your data, it’s best to use multiple solutions. For example, Liquid Web’s Guardian and Storm® backup solutions take backups of your entire server and store them in a secure and remote location.  Alternatively, cPanel backups (available for every cPanel user) only take copies of your cPanel account and can be stored either locally (which is not ideal) or remotely. cPanel backups can be especially useful for those users who have multiple accounts on one server but only need to restore one account. Due to the different benefits of both solutions, our Heroic Support™ team recommends backing up both full images of your server in addition to smaller snapshots of your cPanel accounts. Stacking your backup solutions in this manner will ensure you can be sure that your data will be recovered as quickly and efficiently as possible, no matter what kind of disaster hits. There are many backup options to choose from depending on your server type and business needs, but these six best practices should help you choose the best solution for you. If you’re looking for additional assistance with setting up backups or choosing the best solution for you, our Heroic Support™ team is available 24-7-365 to answer any questions. 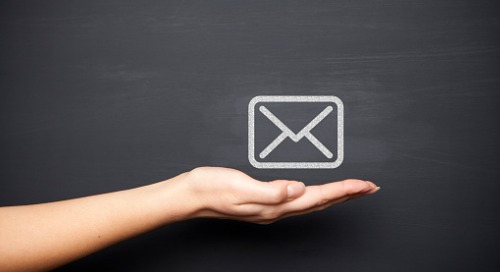 80% of small to medium businesses still use Gmail or Yahoo for their primary email address. A business email solution will help your business scale as you grow your workforce. 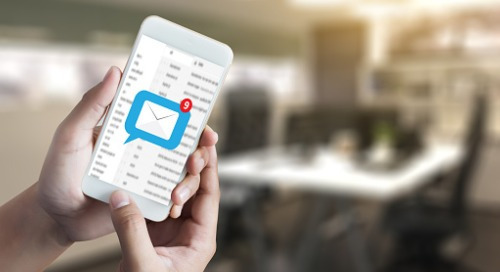 Email spam is evolving and becoming more sophisticated, specifically designed to evade policy-based filters and fool the account holder into clicking a link. Find out how to keep your inbox protected. 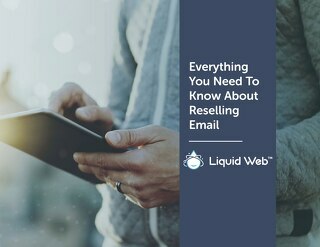 Follow Liquid Web's 5 tips to identify dangerous spam emails and protect your inbox from malware, virus, and phishing attacks. Take a full tour of our Premium Business Email control panel and see why it will improve the efficiency of your team, provide you with all the tools you need, and streamline your operation. 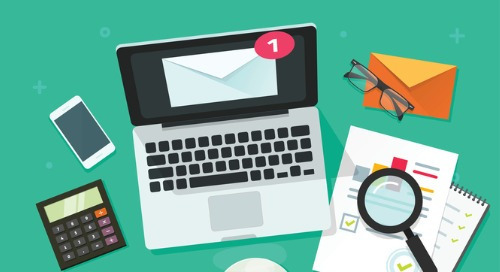 In this article, we'll cover the differences between unwanted email and spam, the methods our inboxes use to filter those pesky emails, and discover the benefits of using an email service. With strong content implemented into an effective email strategy, email marketing proves to remain as effective as modern marketing strategy. 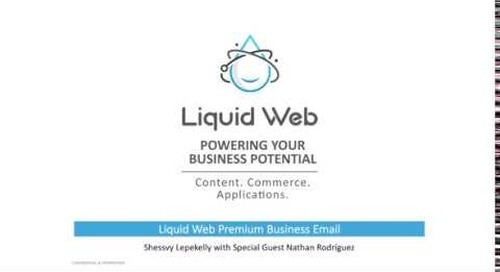 At Liquid Web the robust integration with Microsoft Outlook allows for the use of advanced features, which means your Exchange Email servers will do more than just send and receive email.